Our new laboratory in 602 Hamilton Hall. The DXR Raman microscope with 532 nm laser delivers exceptional spatial resolution, together with the reliability, performance and reproducibility required in demanding analytical environments. Designed for versatility, the DXR Raman microscope makes it as easy as possible to get high quality results. 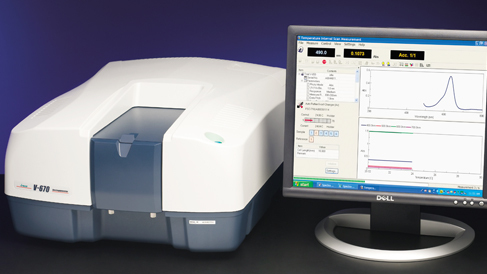 The Agilent 4155C Semiconductor Parameter Analyzer is a cost-effective, accurate laboratory bench top solution for advanced device characterization. 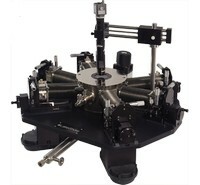 Cryogenic micromanipulated probe station used for non-destructive testing of devices on full and partial wafers up to 51 mm (2 in) in diameter. The TTPX is a platform for measurement of electrical, electro-optical, parametric, high Z, DC, RF, and microwave properties of materials and test devices. Nanoscale electronics, quantum wires and dots, and semiconductors are typical materials measured in a TTPX. UV-670 UV-VIS Spectrometer features dual gratings (automatically exchanged): 1200 grooves/mm for the UV/VIS region; 300 grooves/mm for the NIR region. A PMT detector is provided for the UV/VIS region and a Peltier-cooled PbS detector is employed for the NIR region. Both gratings and detector are automatically exchanged within the user selectable 800 to 900 nm range.